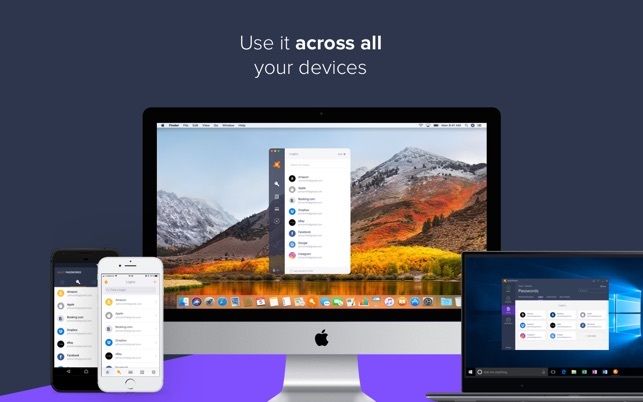 Entrusted with securing the data and devices of 400 million people around the globe, Avast is here to keep malware and hackers from ruining your day. ◆ ….All without slowing down your Mac. 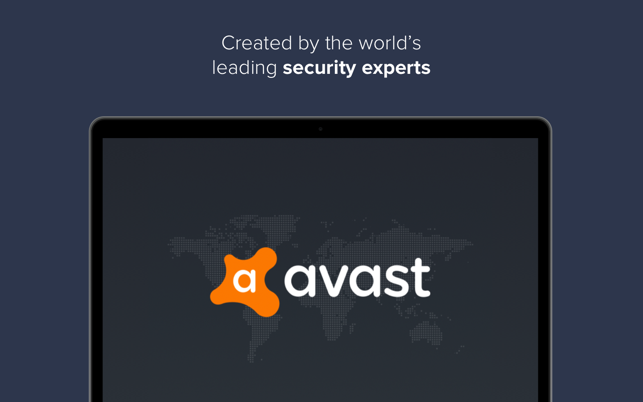 From the creators of trusted security solutions, Avast. 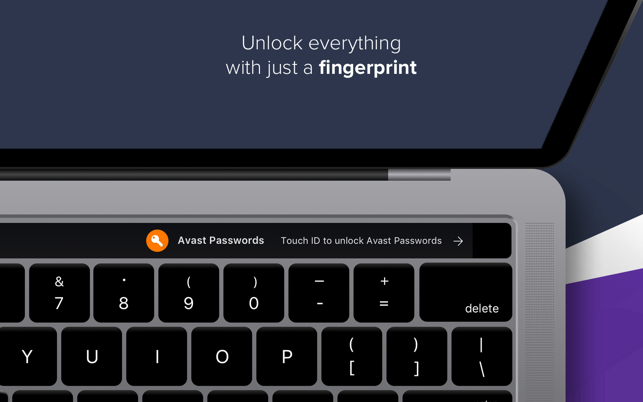 Avast Passwords Premium is available for €19.99/year. Your subscription will be renewed automatically every year unless canceled at least 24 hours before the end of your current subscription period. Auto-renew can be turned off from your iTunes Account Settings after the purchase. 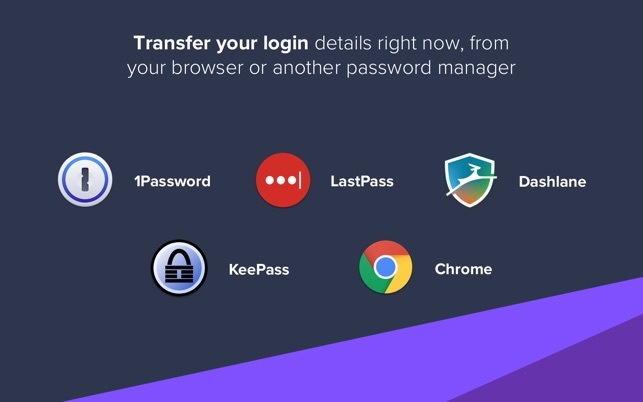 I've also tried LastPass and Dashlane, but Avast Password is the one I kept and have been using. 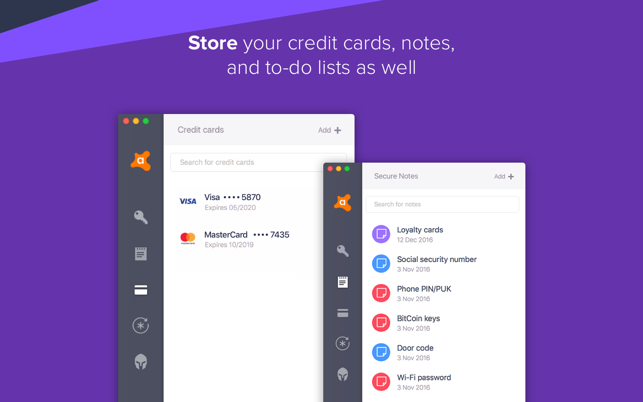 It has a simple, yet effective interface to manage your passwords. 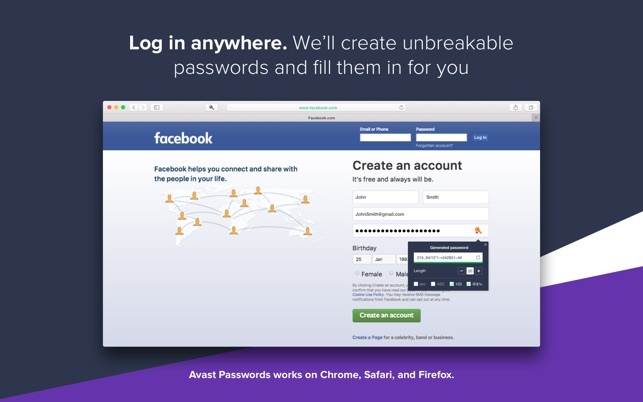 The best part is that it syncs your passwords across all of your devices that have Avast installed. 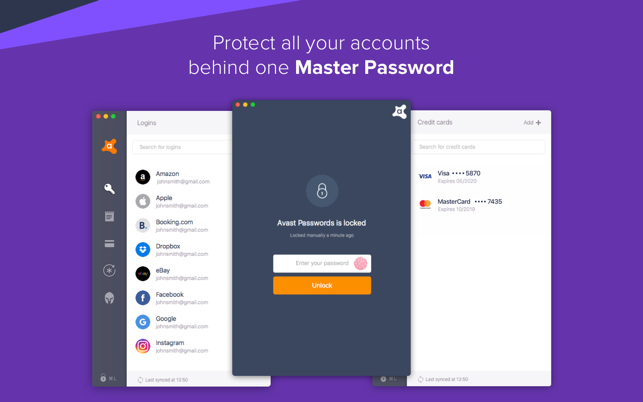 The other password managers are too complex and want to take your money monthly. The app on my Mac and iPhone will not sync. I am unable to authorize my iPhone on my Mac. I am signing in with the same login information. When I check to see pending devices authorizations, it says, “Couldn’t retrieve device list.” The support pages are useless on this subject. Customer service is useless as well. They can’t figure it out.